Many people look at pigeons as a nuisance, defecating on cars and statues while causing general chaos in many cities across the globe. These “rats with wings,” however, do have a very interesting way in which they fly, by utilizing very dynamic wings to adjust their flight speed and even “hover” in a way. This effect is based entirely off of the way that the bird orients its wings. When a pigeon stretches out its wings, it has more surface area to propel itself at an elevated velocity (like in the Boeing 747 & Boeing 737 example used in the class lecture). 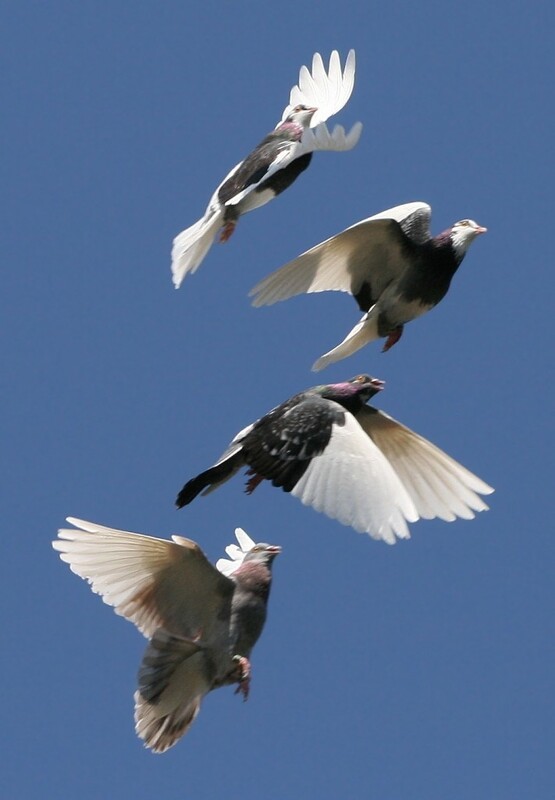 This enables them to “move more air on the down stroke, making it go much faster.” Pigeons are able to push harder with these outstretched wings, but they then also tuck them in to reduce air friction and reload for another flap. While this does not allow them to fly nearly as fast as the rocketing peregrine falcons, who can fly at upwards of 160 mph (though they generally only average around 70 mph)), pigeons are able to fly upwards of 70 mph over long distances, sometimes reaching a maximum of nearly 95 mph! Many scientists and pigeon enthusiasts alike consider Columbia livia [the rock pigeon] to be among the fastest species of birds because of this sustained high velocity flight. Another unique adaptation of the common pigeon is that they possess the ability to “hover” for short periods of time. The pigeon readjusts her wings to counteract the gravitational force and balance them with the generated lift. This down stroke acts almost like a parachute, dramatically slowing the descent. The minute lift generated negates the effect of the bird’s weight and allows it to maintain a steady altitude. 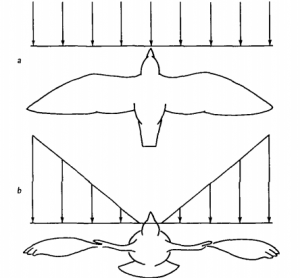 In addition to this maneuver, the pigeon utilizes an “inverted loading” caused by a wing ‘flick’ on the upstroke of the slow flapping motions. 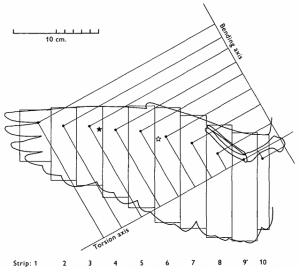 This causes a shift in the horizontal forces, slowing the speed of the bird and allowing them to stabilize in a fairly fixed location. While pigeons cannot hover in a conventional sense like helicopters, insects, or hummingbirds, this slow decent gives the illusion of such ability, though it definitely does provide increased control and stability for the bird. Pigeon flight is very unique. Although the birds are very common in everyday life, relatively little is known about their flight techniques and patterns. Though we as humans may not always like sharing our environment with these pests, we can learn a great deal about flight from these feathered friends.